MALÅ 3D Imaging Radar Array (MIRA) is a one-pass 3D system providing a cost-effective solution for large-scale object identification and subsurface mapping. 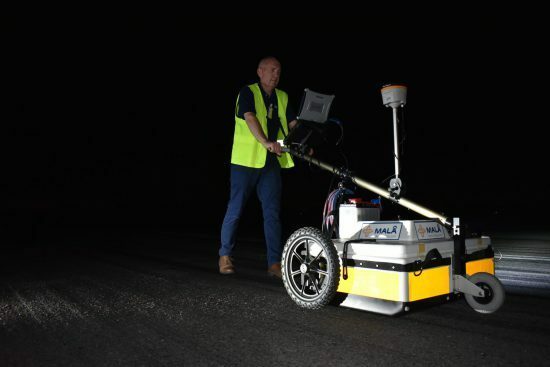 With a production rate of up to 50,000 m2 per day, it is the only system of its kind that seamlessly integrates the acquisition, processing, QA/QC, positioning data, interpretation and export of ground penetrating radar data. MALÅ MIRA (3D Imaging Radar Array) system is designed using multiple antennas configured in an array, with the MALÅ ProEx control unit at its base. Up to 30 antennas can be used simultaneously to gather data in real time. 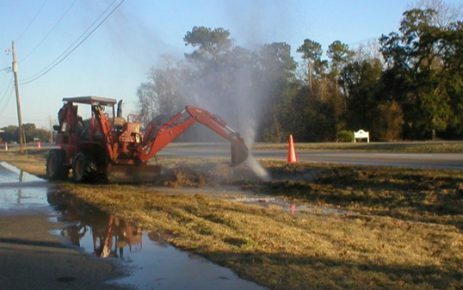 It was designed to retain survey speed regardless of the number of antennas used. The power within this product lies in its ability to quickly and easily gather full 3D data in broad paths, the so-called “swots”. Results are processed in 3D, displayed and interpreted through a dedicated software package and then exported into suitable GIS or CAD data formats. The MALÅ MIRA is a complete 3D Imaging Radar Array solution, from survey to end results. The 1.3 GHz Separable Shielded Antenna elements are typically used for high precision, high-resolution measurements and velocity estimations in a 3D imaging radar array configuration. The 400 MHz Separable Shielded Antenna elements are typically used for high precision measurements, velocity estimations and where any variation of polarization and Rx-Tx distance is needed. Comes in a 3D imaging radar array configuration. The 200 MHz Separable Shielded Antenna elements are typically used for high precision measurements, velocity estimations and where any variation of polarization and Rx-Tx distance is needed. Comes in a 3D imaging radar array configuration. 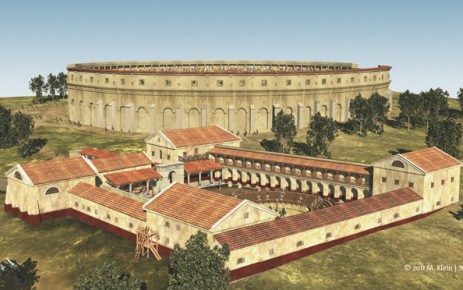 A sensational discovery of the ruins of a gladiator school was made near Petronell-Carnuntum in Austria, with MALÅ MIRA 3D Imaging Radar Array GPR system.